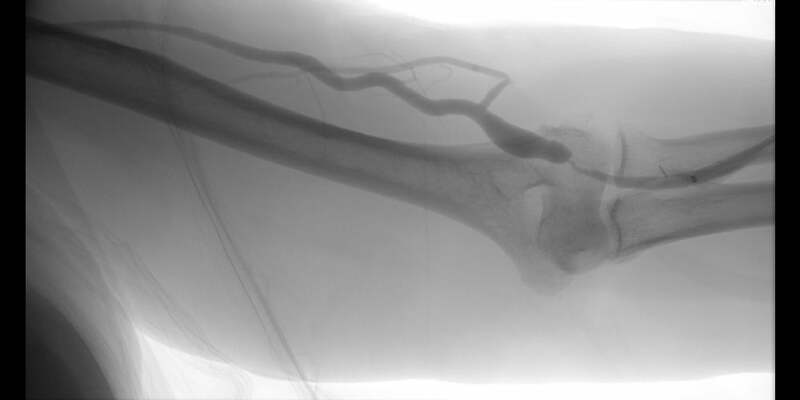 Images courtesy of Sapan Desai, MD. Used with permission. 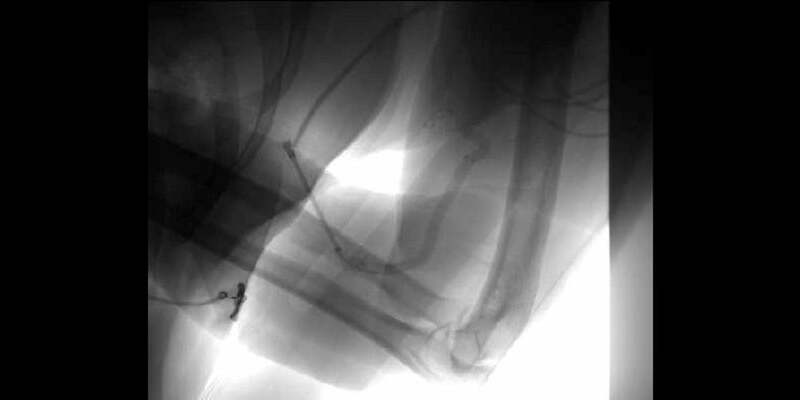 Webb M. Flow disturbances of upper arm graft outflow uncovered by positional studies. Endovascular Today 2014;13(6)Supplement:31-33. 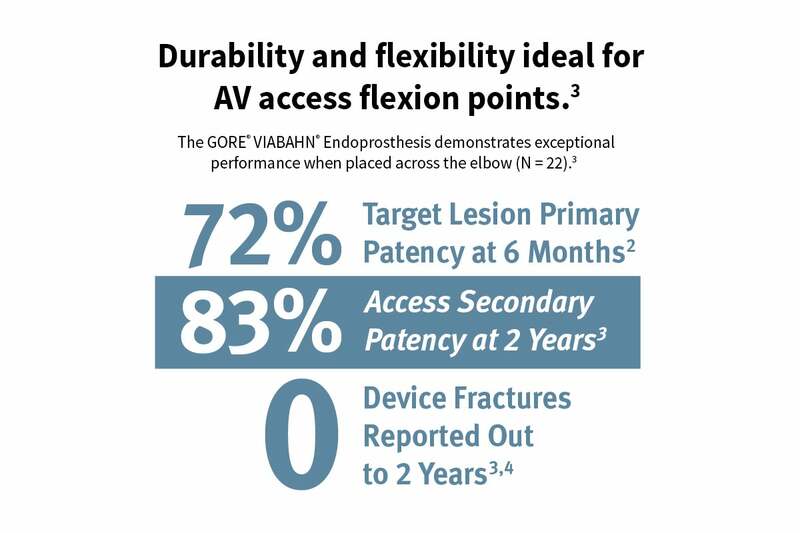 W. L. Gore & Associates, Inc. GORE VIABAHN Endoprosthesis Versus Percutaneous Transluminal Angioplasty (PTA) to Revise AV Grafts in Hemodialysis (REVISE). ClinicalTrials.gov. Bethesda, MD: National Library of Medicine; 2014. https://clinicaltrials.gov/ct2/show/NCT00737672 . Published August 15, 2008. Updated October 14, 2014. Accessed July 17, 2018. NLM Identifier: NCT00737672. Vesely T, Rodriguez A. Summary of the Gore REVISE Clinical Study. Endovascular Today 2014;13(6)Supplement:22-26.